If you’re looking to improve your home during the next few months, now is the best time to check out some fresh design trends and set the wheels in motion. Lots of people like a minimalist interior at the moment, but they aren’t always the best choice for those who want a cosy atmosphere. Some suggestions on this page should help you to make the right decisions when it comes to making alterations to the traditional minimalist interior theme without losing the core concept. Creating a cosy minimalist aesthetic doesn’t have to break the bank, but you might want to make a small investment for the best results. The best way to make your home cosy without moving away from minimalism involves installing a real wood fireplace. There are many different wood heater designs on the market today, and so you just need to choose something that matches your colour theme. In some instances, you might want to employ the services of professionals when it comes to the installation job. It all depends on the size and shape of your fireplace at the moment and whether or not you need to make adjustments. 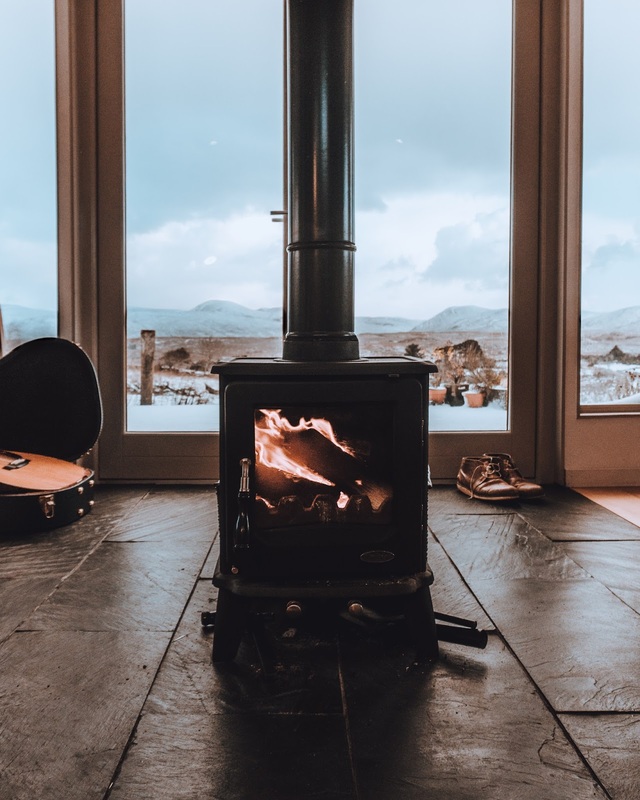 Once you have a wood fire in your home; you should begin to feel a little more relaxed and comfortable during those evenings in front of the TV. If you want to get something unique; you could purchase the material and then use your sewing machine to create the perfect curtains for your home. That is an excellent way of ensuring your friends and family don’t copy your style. Lastly, you need to think about your approach to flooring. Most people would agree that real wood and laminate offer the best aesthetic. However, that is not the best solution when it comes to keeping your home and your feet warm, and so you might want to think outside of the box when making your minimalist theme a little more cosy. Consider searching online or at your local store for some handmade rugs. You can also use lamps to control the amount of light in your house better because they don’t take up too much space. Now you know how to create the perfect cosy minimalist interior for your home; you can start putting your plans in place. When all’s said and done, you don’t have to use any of the ideas from this article. They are just here to show you what’s possible and provide some inspiration. For the best outcomes, you should always think outside of the box and attempt to promote your individuality. If you need any more advice or suggestions, just take a look around before you leave this site today. There are some fantastic design articles you won’t want to overlook.